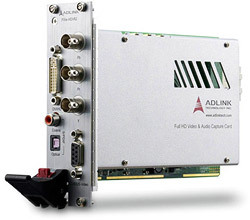 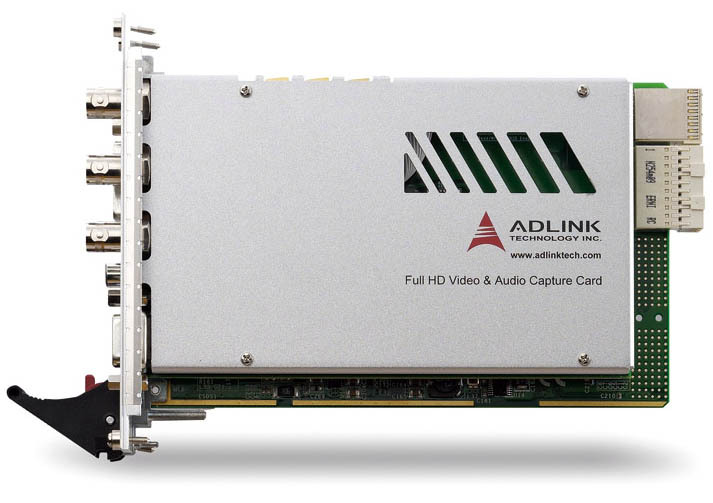 ADLINK¡¦s PXIe-HDV62A high definition video and audio capture card enables single-card acquisition of full analog/digital video and digital audio signals. Featuring uncompressed full HD up to 1080p at 60 fps and 10-bit high-resolution ADC and HDCP support, the PXIe-HDV62A delivers serious benefits and reduced TCO for applications requiring simultaneous capture from both video and audio sources, such as multimedia device testing. 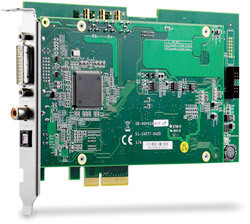 The PXIe-HDV62A not only delivers uncompressed high-definition video data from DVI or HDMI, but also provides an analog video decoder comprehensively supporting RGB, NTSC/PAL, S-video and YPbPr, with an integrated audio decoder for HDMI and S/PDIF capture, providing a highly integrated solution.